2 Department of Rheumatology. Dr. Humeira Badsha Medical Center, Dubai, UAE. 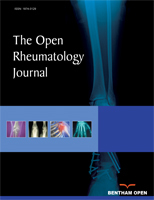 3 Integrated Rheumatology and Arthritis Centre, Dubai Healthcare City, Dubai. 4 Department of Medicine, Jinnah Medical College Hospital, Karachi, Pakistan. 5 Department of Rheumatology, Al Biraa Arthritis & Bone Center, Dubai, UAE. © 2018 Quraishi et al.